I offer a variety of gifts from your session. 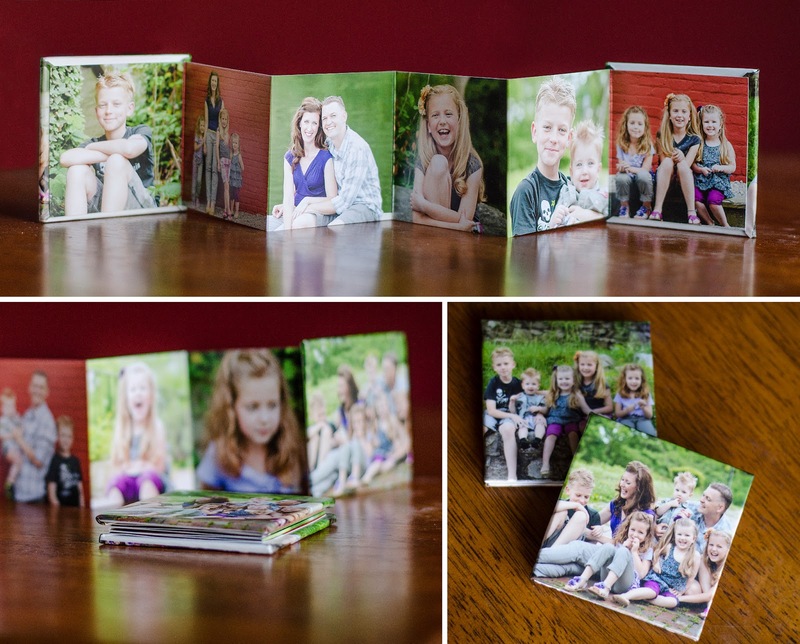 One of the most popular gifts and best ways to utilize all the images from your session is to put them into a compact Accordion Book. Three by three inches in size, it folds down small enough to fit into your purse or bag. It's perfect for on the go display and a modern alternative to the old "photos in the wallet" trend. They're fastened by a magnetic closure inside the binding and are on thick, matte printed paper. I love ordering these for clients and pawing all over them. They're so cute! Definitely consider adding them to your next session!